iPhone Girl is the moniker given to a mysterious woman who somehow appeared on the screen of a British Apple customer's new 3G iPhone. Dressed in a striped pink uniform, she appears in two pictures on the phone. In one, she makes a V sign with her fingers while bending over an iPhone. In the other, she gives a big smile to the photographer while folding her arms over a work bench. Her discovery was first reported on the MacRumors forum by "markm49uk" who bought the phone in question. 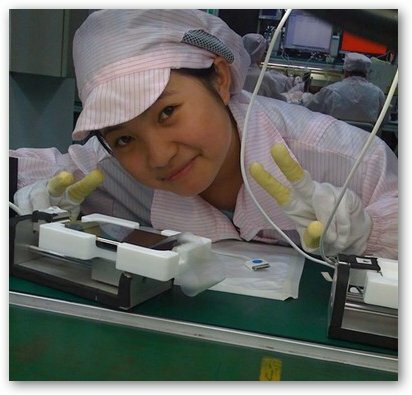 After iPhone Girl's discovery, many wondered how the young factory worker's photo got onto the phone. Apparently, her photos were not deleted after the phone's camera was tested during quality control at Foxconn's factory in Shenzhen, China, which assembles most of the iPhones in the world. Asked for comment, the electronics giant said they had identified her and that "she is definitely not fired" because of the incident. 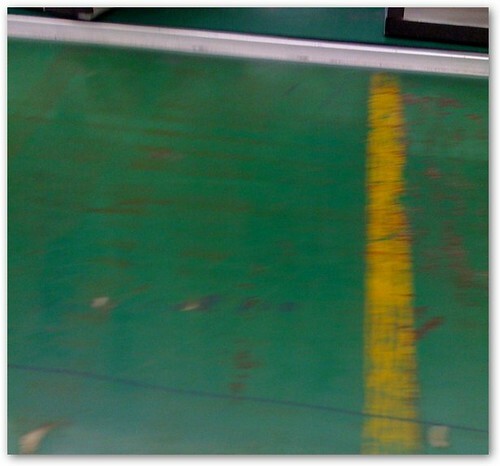 The Shenzhen factory that iPhone Girl works at is incredibly large with more than 270,000 employees. The iPhone quality control group had over 1,000 members.